Small - $34.99 Large - $34.99 Only 1 left! Ding ding ding. The alarm just went off! And you know what it was set for. It's not time for school, or for work. Or for going to pick up groceries. Nope there's one very specific occurrence that the sound indicates, and it's time to embrace it. It's panda time! 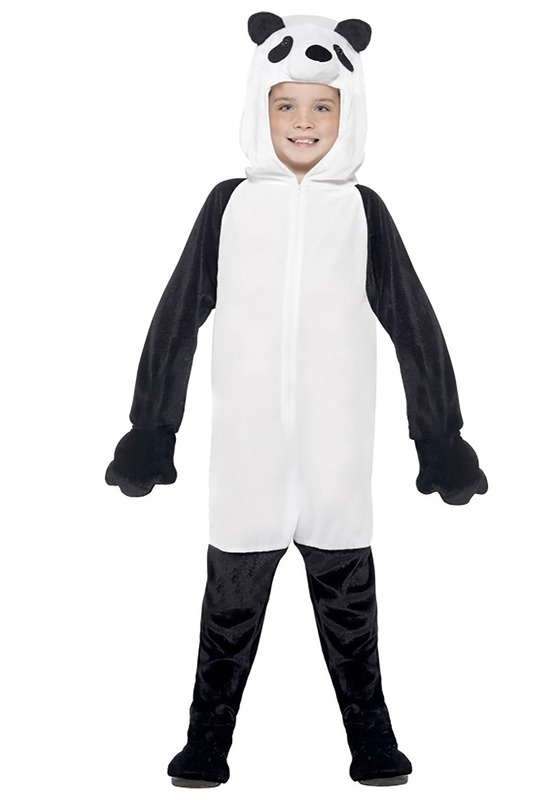 Of course we're going to talk about getting your child into this kid's panda costume, because that's what we're all about. (We are the top spot for costumes after all!) We should actually hope you don't need all that much convincing. Adding a panda to your household is a really great decision, and when it's a cute panda with your own kid's face, all the better! Now you can skip the expensive flight to China, or even the local trip to the zoo. All you'll need is this snappy kid's panda suit to get yourself a panda cub. This hooded jumpsuit will do the job, in a one piece costume transformation! 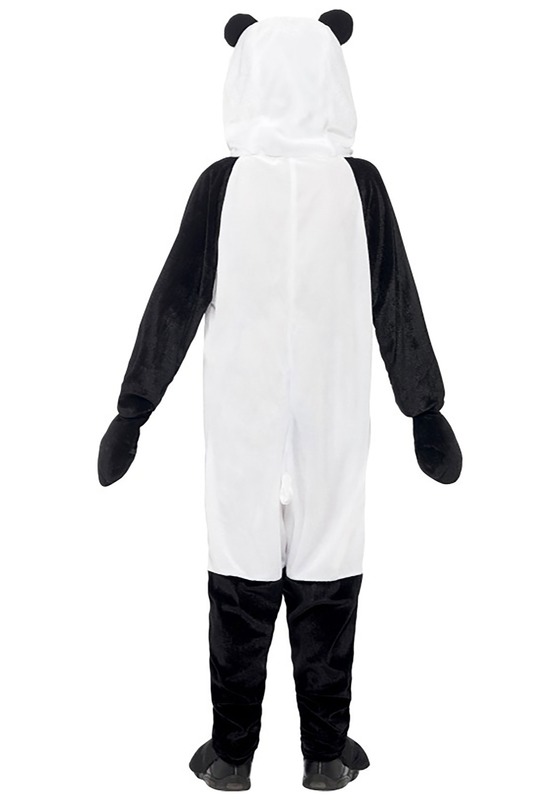 Soft polyester velour makes this costume snuggly, and plush facial features on the hood gives it the right touch. Of course, we'll still have your child's face to see through the hood, but you could always add some panda makeup too! Just zip up the suit, flip up the hood and he or she will be ready for panda time. We're sure your whole family will be real glad you set a reminder for panda time. Whether the kids have panda suits to match Ma and Pa, or they have a too cute critter theme with their friends, this suit will be the perfect selection for Halloween, or any other time the panda alarm goes off!